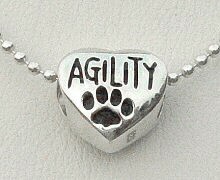 For all dog agility and other dog sports enthusiasts, our brand new collection of dog agility and other sports jewellery features popular and extremely detailed pieces, mostly made from 925 stamped solid Sterling Silver, unless otherwise stated. Gift boxed to make an ideal gift for dog sports lovers and agility competitors everywhere, or just treat yourself and show your support for the sport you love. 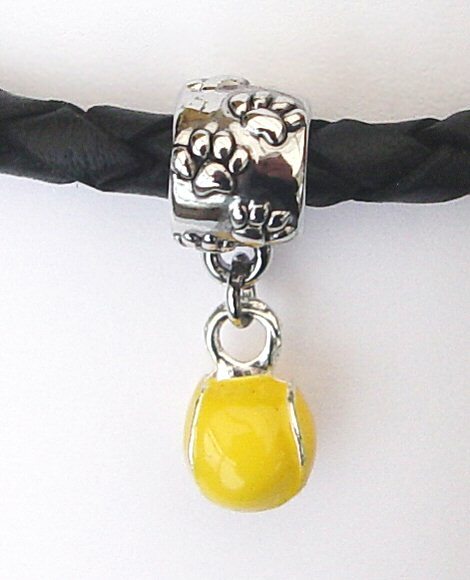 A yellow enamelled Tennis Ball dangling from a silver plated Paw Print bail on a black, braided, real leather bracelet. The dainty Tennis Ball is truely ball shaped (not flat backed) and looks like the real thing. 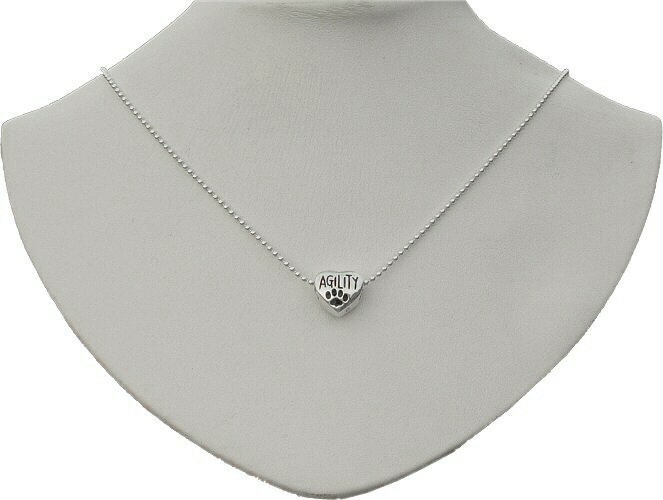 It is approximately 7mm in diameter and, together with the paw print bail, the whole drop is around 2.3cm. The 4mm leather bracelet is finished with a silver plated magnetic fastening which has an additional bayonette lock mechanism for added security. 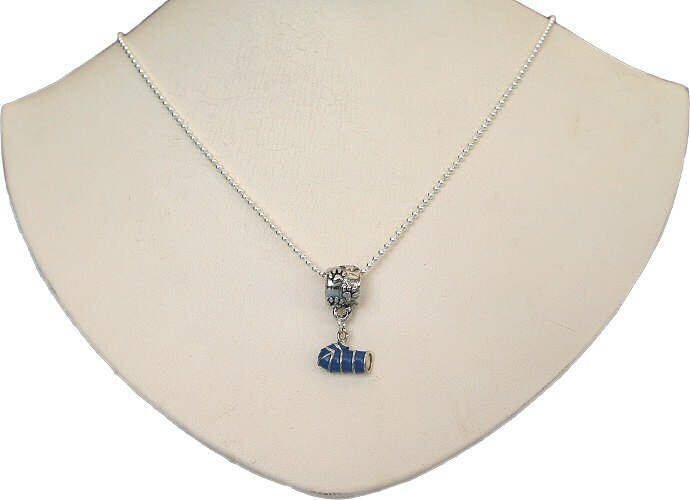 A sterling silver dog agility bead on a sterling silver 18" chain. 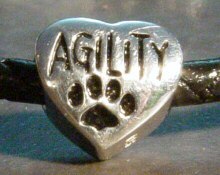 The agility bead is heart shaped and is 3D. 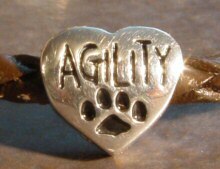 It is 10mm wide and 10mm tall and features the word "Agility" and a paw print on both sides. 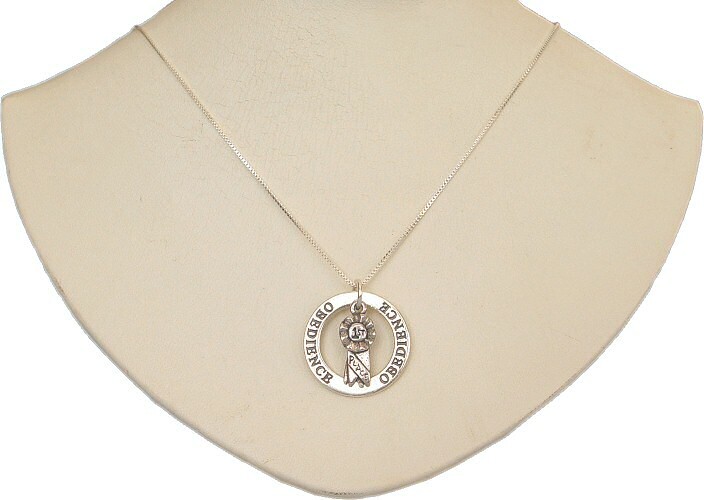 The chain is a 925 bead chain, 1.5mm wide and fastens with a sterling silver bolt ring. A sterling silver and enamelled agility tunnel on a sterling silver 18" chain. The agility tunnel is enamelled sterling silver and hangs from a silver toned paw print bail. The tunnel is 10mm wide and 10mm tall and is 3D, so the same on both sides. The whole drop is 2cm approx. 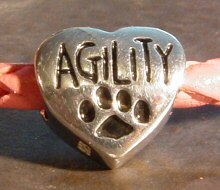 A sterling silver "Agility" bead on a pink, braided, real leather and sterling silver bracelet. 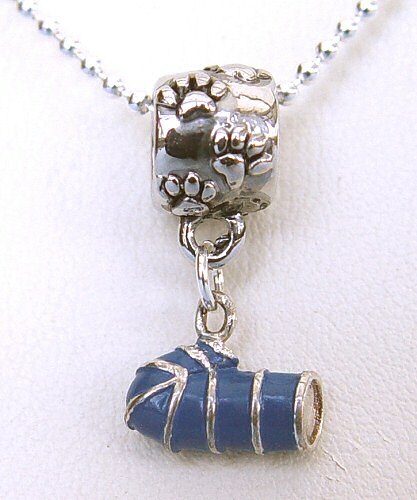 The heart shaped bead is 1cm x 1cm has "Agility" and a paw print on both sides and is hallmarked Sterling Silver. A sterling silver "Agility" bead on a brown, braided, real leather and sterling silver bracelet. 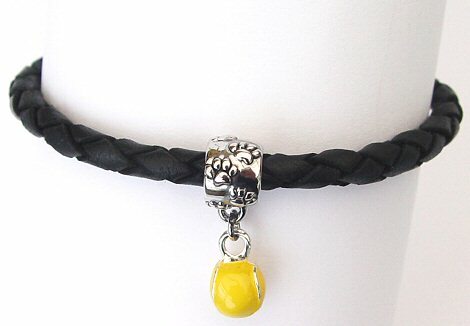 A sterling silver "Agility" bead on a black, braided, real leather and sterling silver bracelet. 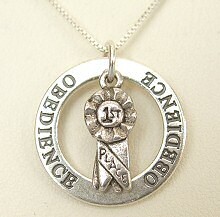 A sterling silver Obedience Ring and a sterling silver 1st Place Rosette on a sterling silver 18" chain. 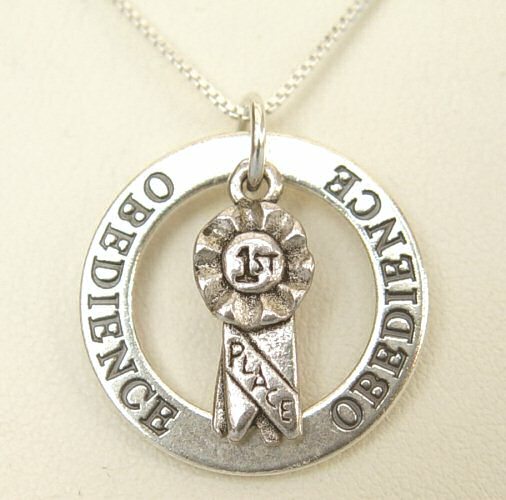 The Obedience Ring is 2.5 cm diameter and the Rosette nestles inside it. The chain is a 925 box chain, 1.5mm wide and fastens with a sterling silver bolt ring. 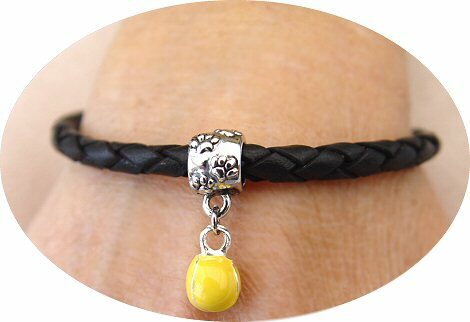 We also have a separate range of Silver dog breed jewellery and costume dog jewellery which feature a range of quality gifts for dog lovers.